The other day a report about media freedom crossed my desk, and I thought I would share some of the findings. Finland, the Netherlands and Norway have distinguished themselves as countries that most respect media freedom. Those in the last three positions are dictatorial countries – Turkmenistan, North Korea and Eritrea. The results are from the 2013 Reporters Without Borders World Press Free Index. 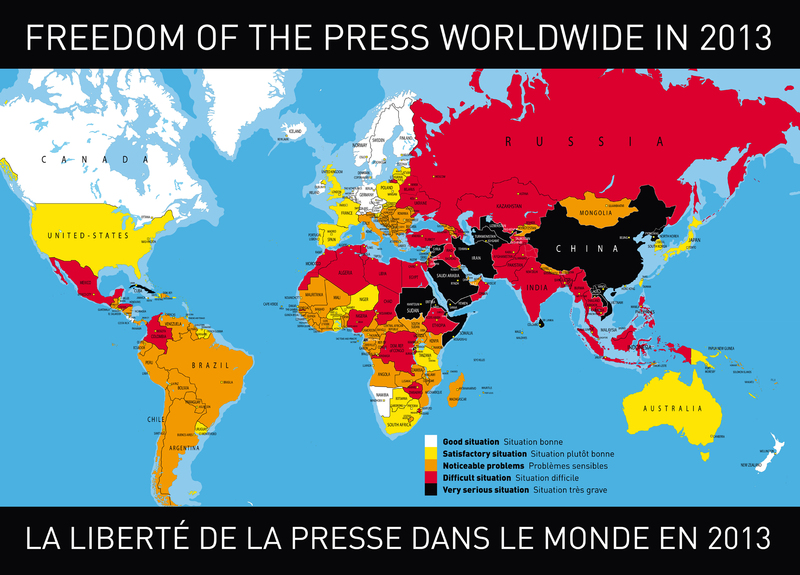 “The Press Freedom Index published by Reporters Without Borders does not take direct account of the kind of political system but it is clear that democracies provide better protection for the freedom to produce and circulate accurate news and information than countries where human rights are flouted,” Reporters Without Borders secretary-general Christophe Deloire said. Stretching: At this conference, NFPW members applied to be speakers on various topics. I frequentl y speak on issues related to my profession, including on social media, branding and crisis communications. I agreed to be a panelist on crisis communications. I also pitched a seminar on “The Brand of You.” I’m interested in coaching and decided that offering a seminar on this topic would force me to review all of my learnings, study some more and then create a presentation. My summer will be busy, and I hope it will be worth it to those who attend my session. Networking: Our members have lots of knowledge and they’re just plain interesting. They also are always willing to share advice or simply listen. With social media, it’s even easier to stay in touch. Learning: I’ve increased my knowledge about agriculture thanks to Jenni Latzke, Lori Potter and Barb Batie. The result is that for th e past several years I have grown my own vegetables. This summer I may try canning. I’ve learned about book publishing and video editing. At an NFPW conference I first learned about blogging and thought, “I could never do this” and now I’ve been blogging for four years. Exploring: One of the added benefits of NFPW conferences are the tours. The affiliates that host know the places to see and often can provide access behind-the-scenes. I’m looking forward to exploring Southern Utah. Why do you attend conference? Please share as a comment to encourage others to attend. Introductions While your company may not have an opening, you may know someone whose company does. Connect your colleague and the graduate and share why you think the recent graduate would be a good addition to the staff. Mock Interviews One of the challenging parts of landing a job is the interview. If a graduate asks for your time, you could conduct a mock interview with the person. This enables the graduate to work on interviewing techniques. At the conclusion of the interview, you can offer suggestions on how to improve answers or delivery. Shadow Exercises Do you remember the challenge of figuring out what you wanted to do when you graduated? You can help a student by letting them shadow you for part of a day. It means a bit of extra work for you as you explain what you are doing and why but you will provide the student with a better understanding of your work and the business environment. I like to invite students to join the team meeting so they can hear from everyone. Then, depending on the student’s interest, I schedule 30-minute informational interviews with different team members. I ask the team members to honestly share about the highs and lows of the position. In a few short hours, they get an understanding of the work environment and they have made some new connections. Resumes Students almost always list their education first on their resumes. Most employers, however, want to know what the graduate can offer. I frequently review student resumes. One of the first things I do is put the education at the end of the resume. I also encourage them to note what they achieved through their extracurricular activities. Many part-time jobs enable students to develop customer service and management skills so I help them highlight those. None of these activities require a significant time investment. For the student, though, it’s a huge investment in their career. I spend too much time each day in meetings, which means I am not moving – unless you count the steps I take to walk to a different meeting room. When I was a reporter, I had to leave my desk and seek out a story. As a spokesperson, I had to respond to a situation, which meant walking – and lots of standing. I recently instituted a Monday agile meeting. The goal was 15 minutes to quickly update others on the team about our integration points for the week. The plan was to stand. Instead, because we’re in a conference room, we all sit. Then I read about walking meetings – or walkntalks as the author Nilofer Merchants call them – on Wired. The concept is simple. For one-to-one meetings walk with the person and truly listen to what they have to say. If preparation is needed, provide the materials in advance. If you need to capture something from the meeting, you can record a short message on your mobile device. The best part of walking meetings is the additional fitness boost. Today everybody is a content expert. “Years ago we used to just call that communications,” said Jon Newman of the The Hodges Partnership. 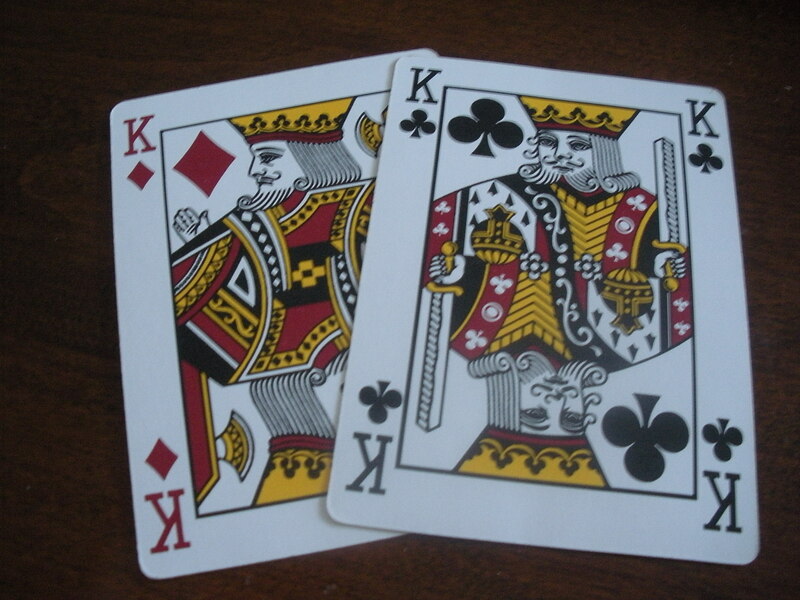 He was speaking to a group of PR practitioners about how content is king. How are we going to spread out the content? How are we going to manage it? Where are audiences getting the content? What is competing for their attention? Newman cited one study that said 90 percent of information comes from screens, whether it’s a computer, tablet or smartphone. People spend 4.4 hours of leisure time in front of screens. “Think about what that means for your content,” he said. One of the challenges for many is that with all the screens, more content is needed. Jon challenges that notion and suggests that most of us actually have more content than we realize. His recommendation is to conduct a content audit. One way to track is to use an editorial calendar. At least 20 percent of your content should be original and the rest can be from other sources. “Then it doesn’t look like you’re simply selling or pushing your content,” he says. Once you know your sources of content and you know that people are using more screens, think about how you deliver the content. It’s okay to repeat content on different platforms because someone who follows you on Twitter may not read your blog. Sharing content visually is important, too, especially on screens. Most importantly, content must break through the clutter – quality counts. 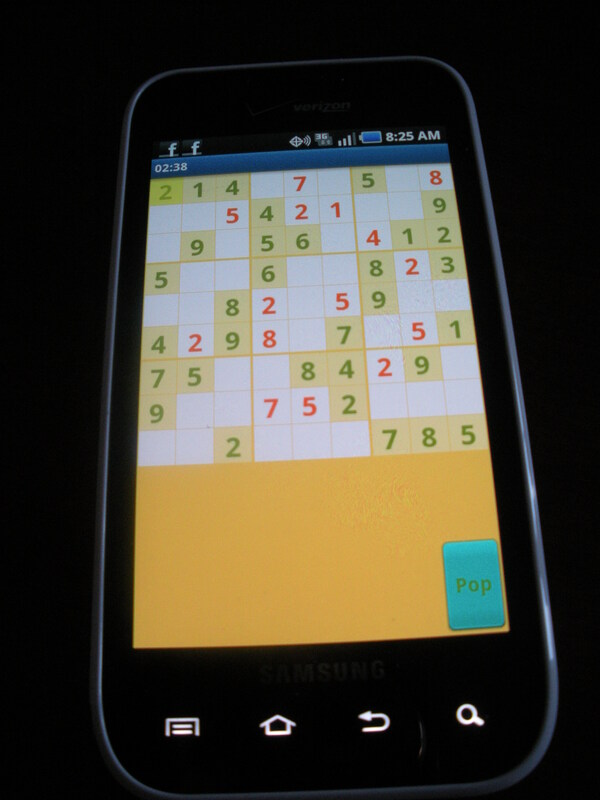 Smartphones are frequently used for playing games, including Sudoku. One of my favorite uses of my smartphone is to play Sudoku. It’s great for when I’m stuck waiting. I also play when I’m watching television. And I use the smartphone camera – alot. The next step, of course, is to share on Facebook. On occasion, I check my emails. The result is that I spend much more time using my smartphone than I realize. I haven’t added it up but a report by Flurry, which helps companies build, measure, advertise and monetize mobile applications in the new app economy, says that Americans who own smartphones or tablets spend, on average, 2 hours and 38 minutes glued to their mobile devices. Who knew?! More than 50 minutes are spent playing games. Clearly, I have not paid attention to how much time I spend on my phone. It’s a good thing I never downloaded Bejeweled! Almost 30 minutes are spent on Facebook. The other social sites account for less than 10 minutes. About three minutes is allotted for email, which Flurry classifies as productivity. It’s good to know I’m doing something productive with my phone.